Today’s parents are increasingly aware of the benefits to starting dental care early in their child’s life. To give a simple answer, yes; a child’s baby teeth can affect their oral health for the rest of their life despite that they’ll fall out. Having your children’s teeth looked after from a young age can help protect their smile. At Tankard Dental , we love to work with kids of all ages and recommend that you bring them in from about age 1. There are many services we offer to children, including examinations, fillings, fissure sealants, fluoride treatments, gentle cleanings and hygiene instruction. These visits give them a foundation to build healthy oral habits on that they’ll continue for the rest of their lives. We’ll make sure they have the skills and information to start caring for their teeth and gums on their own, making it a routine they establish in their daily lives. 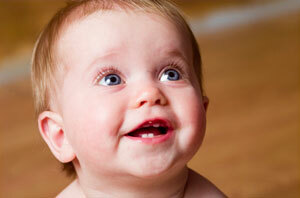 Starting dental care early in life doesn’t just mean they’ll have healthy smiles in the long term. It also means that your child will become used to visiting the dentist and won’t develop phobias or fears that are commonly held by many adults about dental care. Eligible children up to age 18 are entitled to $1000 in dental services every two years. To find out if your child is covered, you can contact the Medicare office or our practice. We’ll be happy to assist you!